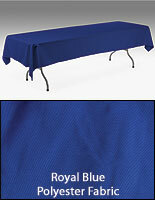 The Commercial Table Skirt For Sale Online is Ideal for Banquet Facilities! 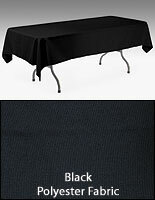 The Tablecloth in Black Really Makes a Statement! Create an elegant look at any venue! This polyester table skirt accessory, tablecloth, is perfectly suited for banquet rooms, reception halls and dining areas. 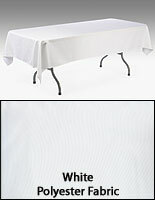 The tablecloths, polyester table skirt accessories, are designed for use with table skirts. Don't be caught short! Buy in bulk to be sure you have enough to cover every table in a room! 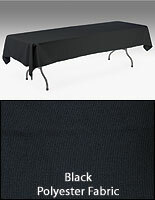 Much cheaper than renting, these tablecloths, table skirt accessories, are the durable choice for restaurants and banquet facilities! 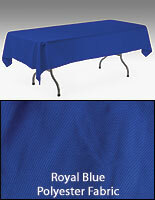 A polyester table skirt hides an old, worn-out or blemished table. Just cover the table and let the fabric hide any imperfections. 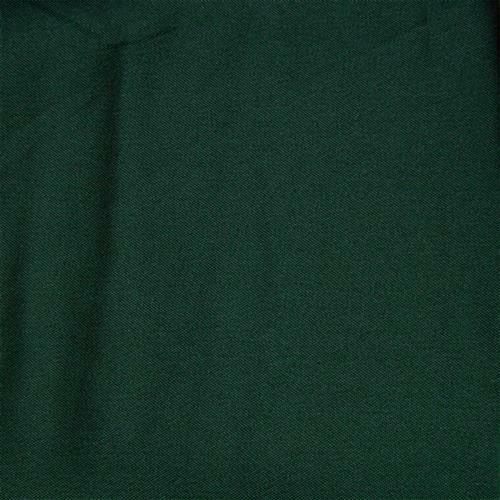 This tablecloth, polyester table skirt accessory is fabricated of 100% polyester and has a wonderful hunter green color. 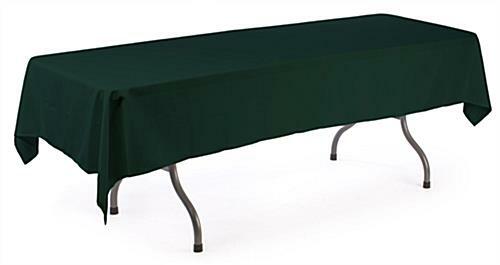 These durable tablecloths in hunter green add a grand splash of color to every room. The green tablecloths are ideal in every setting as their coloring works well with just about every color room décor. (Have you ever seen a flower that didn't look good with the green leafs and stems?) This polyester table skirt, also called a tablecloth, is eight feet long and sized for a six-foot long table. As the tablecloth is designed for use with table skirting, it does not drape to the floor but falls slightly down each side of the table to ensure a smooth surface once the table skirt (sold separately) is attached.